Projects and Quotes are different in Orgo. Projects are designed to help you manage and track a lot of different pieces of information over a long period of time. Projects allow you to have multiple quotes attached to it and can even be created before a quote for a project exists. 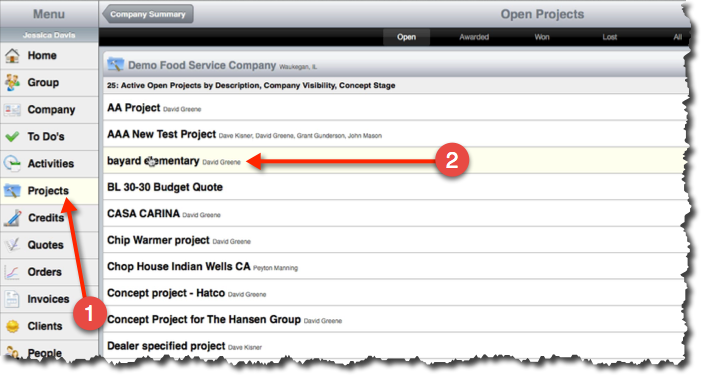 You can Edit a project by clicking the edit button on the Project Summary page. Spec Credits attached to the project can be added by clicking Add Spec Credit. You can also view a PDF of the attached Spec Credit by clicking on the PDF icon. 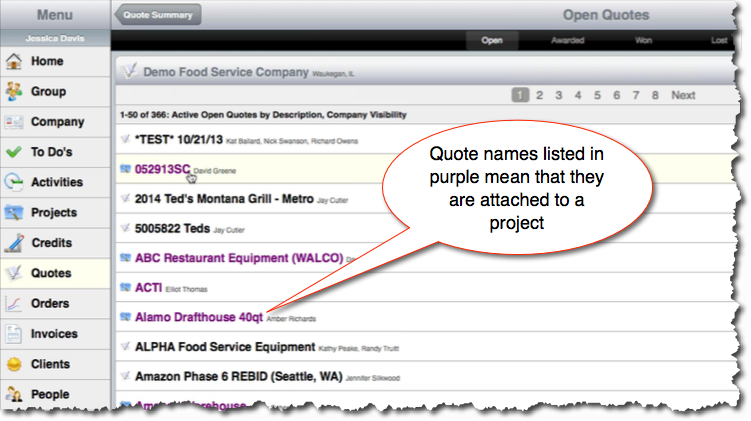 Once a quote is attached to a project, the title of the quote will then be displayed in purple on you Quotes screen. Once a Project has been created you can add quotes to it by going to the Quotes tab from the Project summary screen and click on the Add Symbol. Select your quote from the pull down bar and then click Link. This will add the quote to your project as well as the factories and dollar amount involved with the quote to your Project Summary.